A rare pathology that causes deformity and thinning of the cornea. This can cause poor vision, even with glasses, or increasing astigmatism or difficulty in adjusting successfully. It is very important to have an early diagnosis for proper treatment. It is diagnosed and monitored by corneal topography. Cross linking. It is a simple, non-invasive procedure to treat keratoconus and emerging corneal ectasia when vision is still good. Riboflavin eye drops are applied that fully impregnate the cornea and then a UVA laser is used, producing a reaction that strengthens the corneal collagen and prevents disease progression. 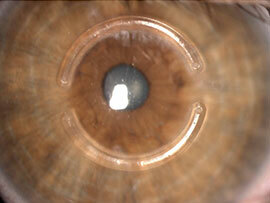 Intrastromal corneal rings. Rings of different thickness are used according to the defect to be corrected. The procedure is reversible and if the results are not suitable you can change or remove the rings. Find out more about Keratoconus. It is the replacement of the diseased cornea of a patient by another healthy one from a donor. 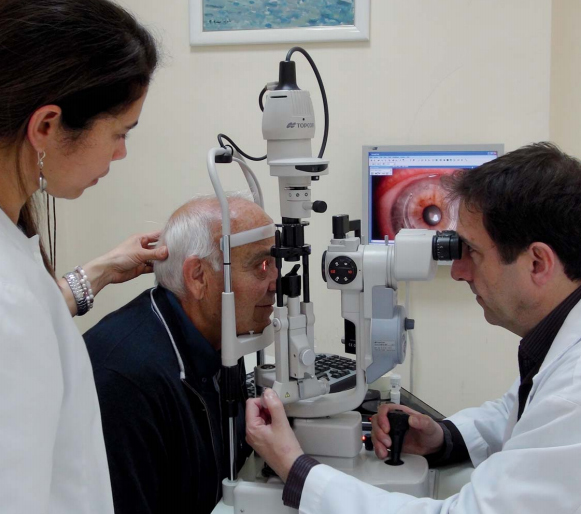 The cornea is provided by a legalized Eye Bank, after analyzing it and finding it to be suitable for transplantation and free of communicable diseases. As the cornea is avascular (no arteries or veins), you need no proof of compatibility between the donor and the recipient. Therefore, the waiting time is less than for other organs and it allows the surgery to be scheduled. The main indications are: serious corneal opacities due to infections, inflammations (herpes keratitis), trauma, chemical burns or corrosion by chemicals, severe dry eyes, dystrophies (Fuchs), degenerations and certain diseases such as corneal edema after cataract surgery (bullosa keratopathies) and when a previous transplant fails. Also transparent corneas, whether perforated or with an irregular surface, when vision is poor and not corrected with glasses or contact lenses. 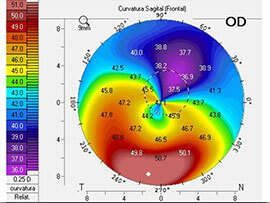 In this section we can include keratoconus, a corneal hereditary disease that occurs in youth and ectasias after LASIK. Today we have lamellar techniques (DSAEK, Dalkia, QPLS) for corneal transplantation to replace only the affected part of the cornea. This way, there are fewer risks with surgery, recovery is accelerated and the life of transplant is extended to significantly reduce the incidence of rejection. 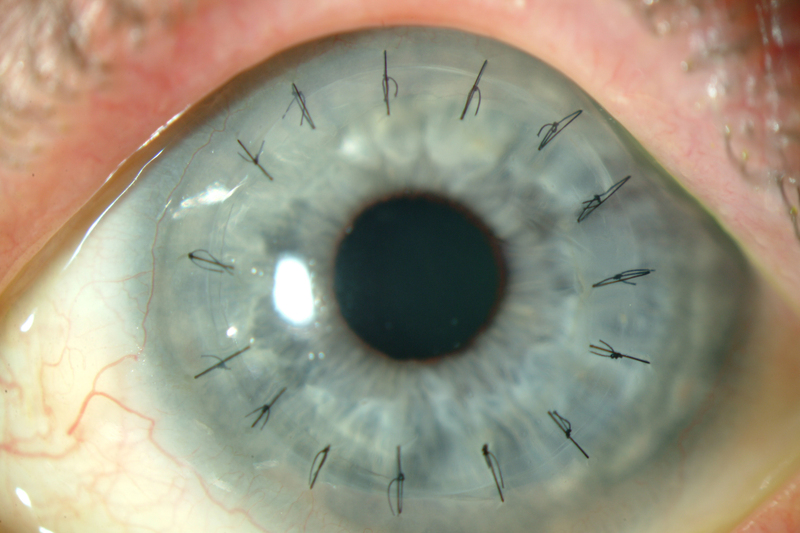 These techniques are individualized according to pathology and corneal involvement. Learn more about cornea transplants.